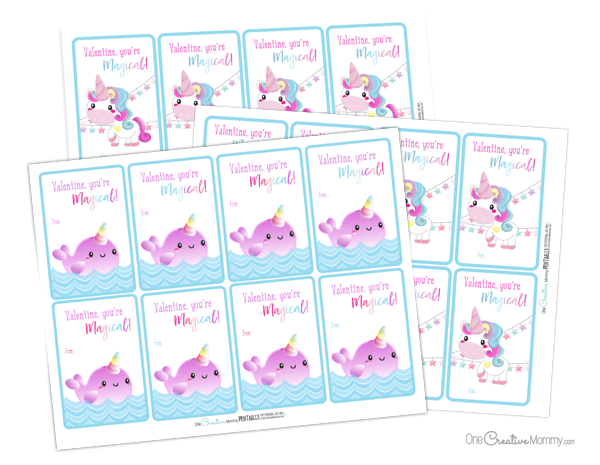 It’s valentine time again, and I’ve got the cutest unicorn valentines to share with you today. (One of them is a narwhal valentine. Do they count as unicorns? The kids seem to think they do.) This is the first year my kids are all too old for valentines, but I can’t help creating new printable valentines anyway. It’s a good thing I have this blog as an excuse! 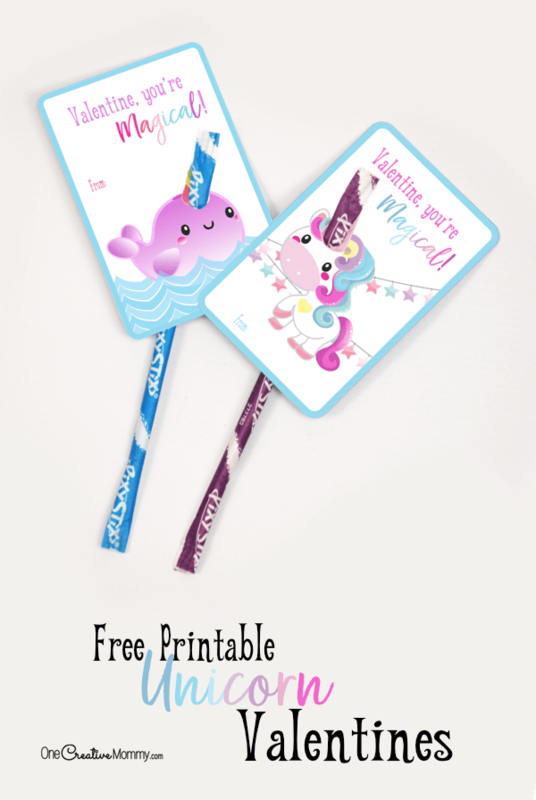 Since unicorns and narwhals are all the rage these days, I know unicorn valentines will be a big hit at the class party! 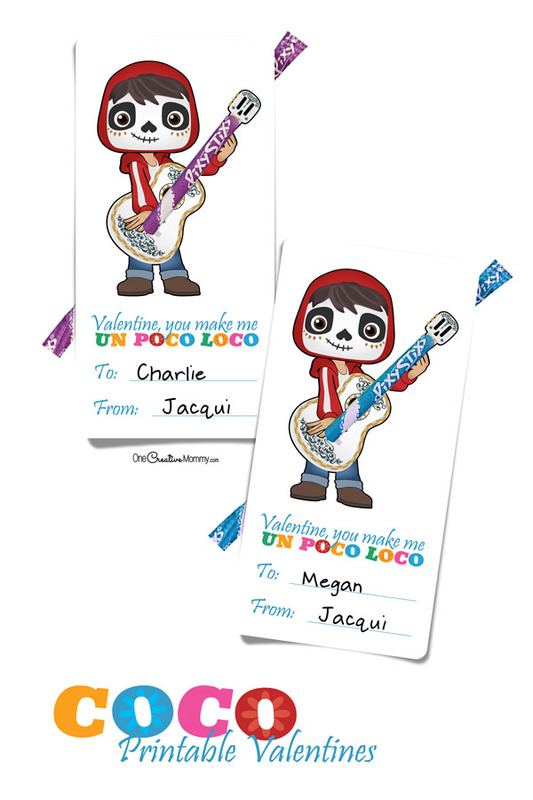 I have three different design ideas for you, so I’m sure you’ll find the valentine that’s just right for your kiddo. My kids may be too old to exchange classroom valentines, but they’re not too old to think unicorns and narwhals are fun and cute. I’m not sure when it happened, but at some point, unicorns became a symbol for being unique. Since kids should be proud to be unique and special, bring on the unicorns! 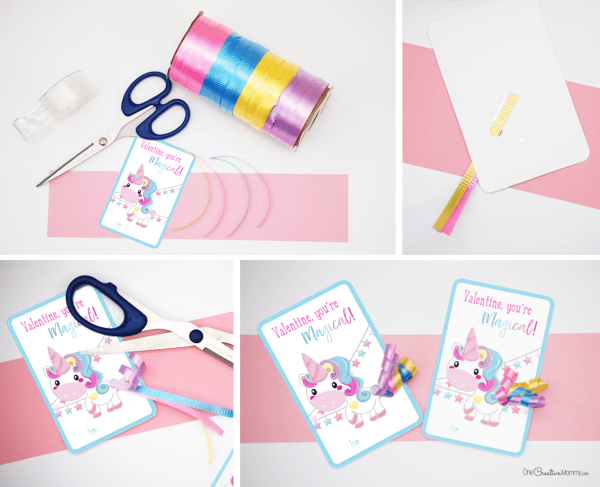 I have three different design ideas for you, so let’s get started learning how to create each unicorn valentine. You’ll find the free printable at the end of the post. 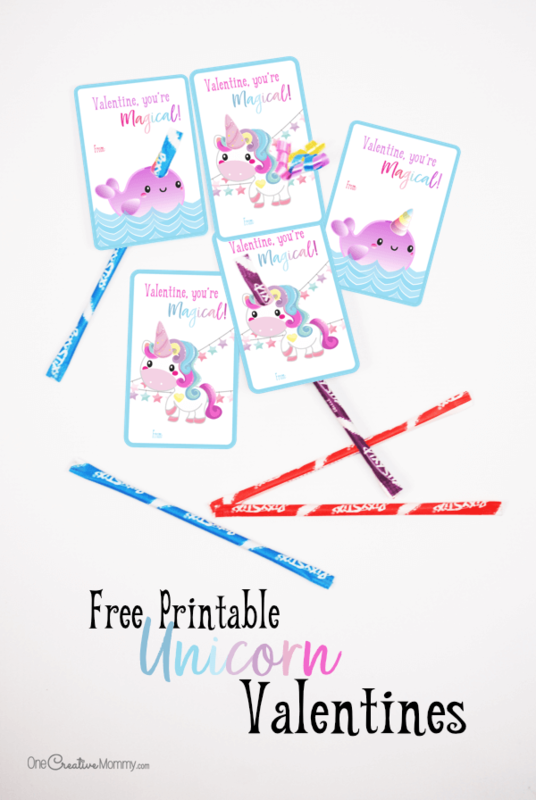 To create the unicorns with ribbon tails, use the printable unicorn valentines that are missing tails. You’ll need curling ribbon (I found the perfect roll with four pastel colors at the Dollar Store), scissors, and tape. 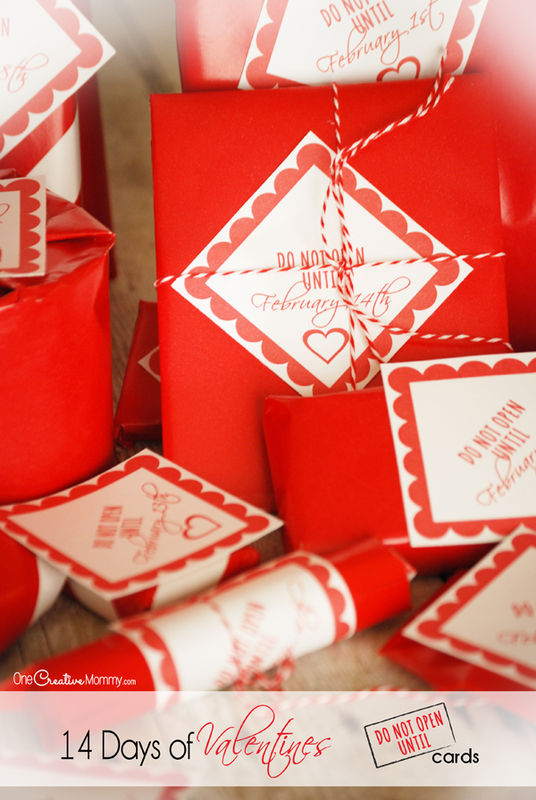 Slide all four ribbons through the hole on the front of the valentine and tape them in place on the back. Trim the tail to your desired length and arrange the ribbons how you like them. 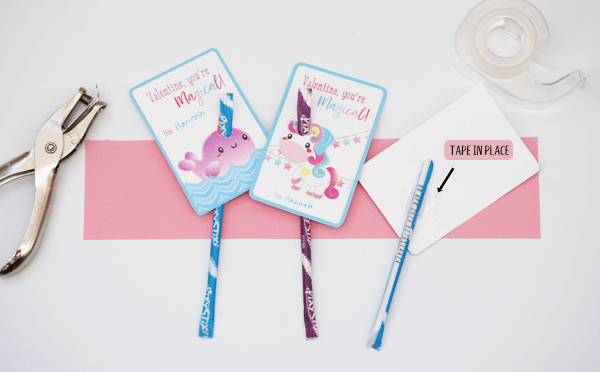 I seem to have a thing for creating valentines with Pixie Stix candy. I’m not sure why. I guess they just make great arrows, horns, and guitar handles. Check out my Brave and Coco valentines to see how I used them. 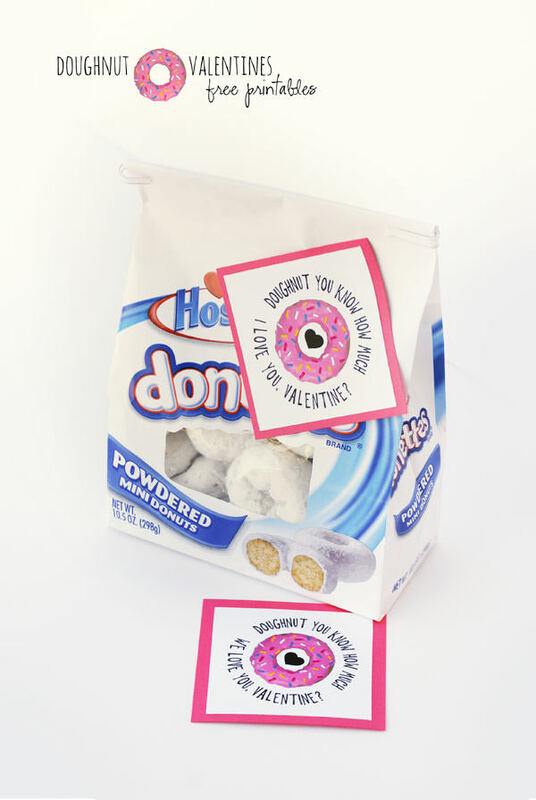 These pixie stix valentines are super easy. I’ll show you both together since they’re both created the same way. Just print the cards, cut them out, and punch a hole for the horns. Slide each pixie stick in from the back. Keep the horn short, and tape each pixie stick in place on the back of the card. That’s it. Super easy. Which unicorn valentine is your favorite? Are you partial to narwhals or unicorns? I love the narwhal valentine, but I think my favorite is the valentine with the ribbon tail. How about you? Ready to download your own? The printable has three pages — one for each style of valentine. Just print your favorite, and you’re ready to go! Click the download button below to open the pdf file. Print the valentines from there, or save the file to print later. This has to be one of the cutest Valentine’s ideas I have ever seen! I am going to share this post with my bestie – she has some kids who will be thrilled to make these. My favorite Valentine is the pixie unicorn horns! When I was younger my favorite was superheros and i would like to get male or female heros when someone gave them to me. Ahhh the good ole days! These are super cute! What great ideas. My kids are older now and no longer pass them out in the classroom. I do miss those days. These are so adorable any child would love them plus I love that they are downloadable. Even better. I was just thinking about Valentine’s day cards. My kids will be needing to make some soon. 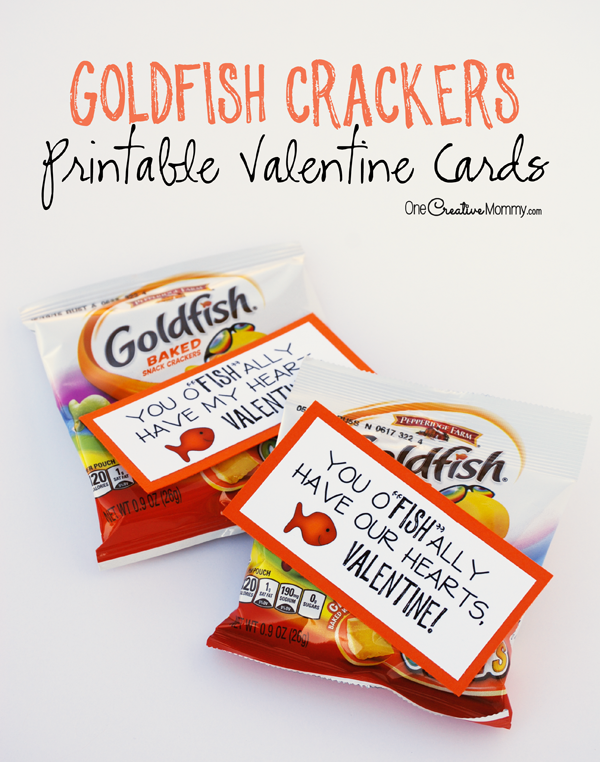 Oh my goodness these are adorable Valentine’s printables! I love the fact they could be handed out around class! These are absolutely adorable! My girls would love them because they are obsessed with unicorns! Omg these are so cute!!! I love valentines day for kids. The valentines are so cute!! This is absolutely adorable. I literally died and went to heaven seeing these cute unicorn ideas. Such an awesome idea! So cuteeee!! I’m a huge fan of Coco! Would print those for my niece! This is too cute! I am charmed! I find the one with unicorn the most adorable! saving! I have a niece that just love unicorns so much. This is very cute and I will definitely share this one! Such cute printable are always the best. Love it!! Oh my goodness! These are so so cute! Kids definitely love and enjoy these. Thanks for sharing ypir ideas. Such a cute collection, kids really love these cards. Thanks for sharing. Hahaha, nice ones! So adorable for the kids – but gosh, we start them early don’t we! We have nieces and nephews in primary school and each year they brag about how many Valentine’s they got or who didn’t get any! Aww! 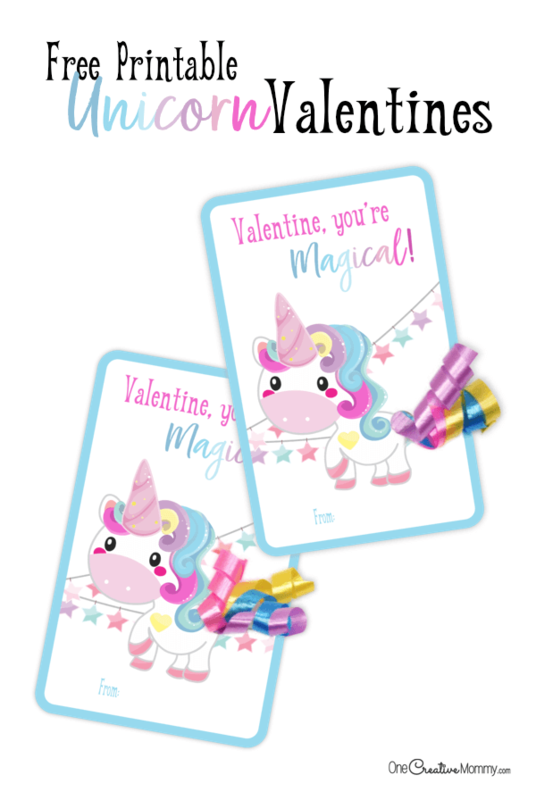 these printable unicorn valentines cards are so cute. Kids would love that for sure.